Out of practice or new to quilting? So am I! If you’d like to join me on my quilting journey we’ll learn together. You don’t need any prior knowledge or experience. Just a willingness to spend some time on your quilting project. It has been over thirty years since I made my first and only patchwork quilt as a young mother, a quilt that has stood the test of time and now adorns my elder grand-daughter’s bed! Since then, I’ve raised four kids, built a family business with my husband, and then, in my fifties, launched a successful new career as a writer. Earlier this year, feeling a little ‘burnt out’ and with four years of very hard work behind me, I was looking for a way to take a step back and relax bit more. 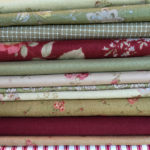 What better way to unwind, than to make another patchwork quilt! I decided to begin in August once my current book was completed. I love quilting and find it very relaxing. For me, it’s a bit like fishing, or exercising, in that there is just enough to occupy your mind and keep you from thinking about work and things that might be troubling you, without being too stressful or exciting in and of itself. 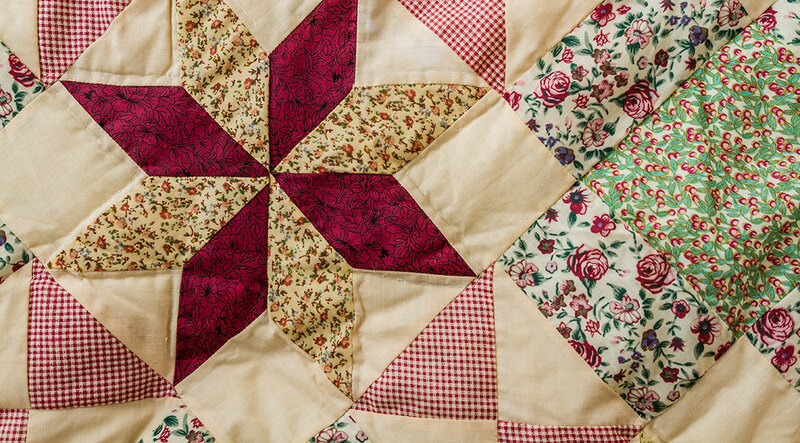 A patchwork quilt takes quite a long time to make, especially if you do all the sewing by hand, but that can be a very therapeutic process. At the end of it, you will also have something extremely beautiful and even valuable, to keep and eventually pass down to your children or grandchildren. 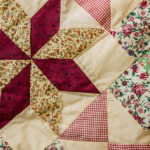 Quality quilts are very expensive to buy, and though fabric isn’t cheap, you can at least spread the cost out a little by collecting scraps of fabric over the weeks and months, and by buying cheap offcuts and looking for bargains in sales. 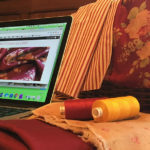 Having decided after all this time to make another patchwork quilt, I found myself struggling to remember where to begin, and a little overwhelmed by the resources now available to me. Where to turn for help with quilting? Many of us lack the kind of mentors that were around in my youth. Grannies who could knit and crochet, Mother’s and Aunties who could sew. Mother might be an engineer or an artist, and Aunty is probably a stockbroker, or trekking through the Amazon jungle. But the interest in crafts is still there, and in some ways, we are much better off today, for the internet has opened up access to a world of useful information. Indeed, it has brought a previously unimaginable wealth of knowledge right here into our homes. Equipment and fabric can be delivered directly to our doors, and in fact there is nothing to stop us getting started almost immediately an idea springs to mind. As an impulsive person, this suits me very well, and I hope to be assembling a good resource list for future projects as I work through this one. We also now have the benefit of a massive craft based search engine – packed with stunning images, all with links to sources of inspiration and help. It’s called pinterest of course and is the ultimate resource for anyone interested in crafts of any kind. 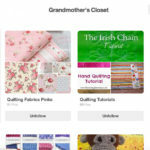 Pinterest is where my journey begins, and the first step I took was to open a Pinterest account for my quilting adventure. I’ll be writing about my Pinterest adventures next time! I hope you’ll join me.